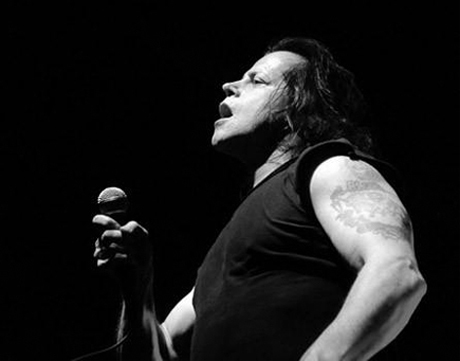 Legendary darklord Glenn Danzig is no stranger to concert-themed controversy, and it looks as if the metal crooner has once again flexed his finicky muscles on the festival circuit by halting a show to chew out a photographer disobeying a "no photo, no video" rule. As you can see in the videos down below, Danzig interrupted his "Danzig Legacy" set at this weekend's Bonnaroo Music and Arts Festival in Memphis, TN, when he noticed a shutterbug snapping some shots. According to NashvilleScene.com [via Blabbermouth], the cameraman in question was the publication's own Michael W. Bunch. While the site claims Bunch was merely taking shots of the crowd, the ordeal enraged Danzig, causing him to run to "the side of the stage pointing and screaming before approaching security." After launching some insults towards Bunch, Danzig was ushered back to the stage. To be fair, Danzig did allegedly stipulate the no-photo terms with organizers before his performance. That said, dude probably didn't anticipate a swarm of iPhone jockeys breaking the rules too. As for the performance, Danzig focused on newer material, but also played some Samhain songs and even brought out former Misfits buddy Doyle Wolfgang von Frankenstein to trot out classic tracks "Astro Zombies," "Skulls," "Bullet" and "Vampira." Last year, Danzig caused an uproar over a shortened set at last year's Fun Fun Fun Fest, a performance he started 45 minutes late.